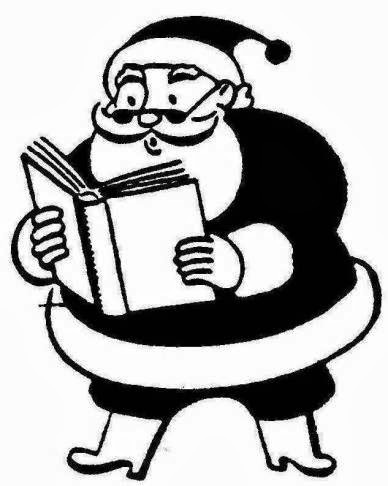 Best wishes to all my readers for a happy, healthy, and prosperous 2019. What's Your Favorite Holiday Movie? Democrats’ favorite Christmas movie is "Miracle on 34th Street." Republicans’ favorite Christmas movie is "It's a Wonderful Life." I first heard that aphorism at a holiday party nearly two decades ago. It’s been around longer than that and I haven’t been able to determine who first said it and when. On the face the saying makes sense. After all, what better movie for adults who still believe in Santa Claus than Miracle on 34th Street? Besides (watch out for plot spoiler) the picture’s crisis is resolved when a huge federal government agency—the Post Office—comes to the rescue. And with a divorced mother rearing a child alone, Miracle features a non-traditional family, surely a plus in the eyes of liberals. It’s a Wonderful Life, on the other hand, celebrates the infinite worth of an individual human being, a worth that far exceeds even the biggest financial fortune. In Wonderful Life the hero’s crisis is resolved (another plot spoiler) by the spontaneous voluntary action of family, friends, and local community; emphatically not by the government. The film also shows people in fervent prayer, not to some generic higher power but to the God of the Bible as worshipped by the Protestant and Catholic believers shown in the picture. That alone must drive some liberals nuts when the film is broadcast over the public airwaves. But the game can be played the other way. Wonderful Life presents negative stereotypes of bankers, so much so that when it was released some Hollywood observers (but not, as is erroneously asserted on some liberal websites, the Federal Bureau of Investigations) charged that it was a vehicle for communist propaganda. The charge is easy to ridicule today, but in the 1940s communist infiltration of the motion picture industry was a real and serious threat to American values. Now look at the favorable treatment—not to mention free advertising—that Miracle gives to two large department stores! Main Street Republicans surely must find that refreshing compared to the negative views of business that Hollywood gives us today. The lesson? It’s just a movie! Enjoy them both, or whichever ones you choose to watch this holiday season. Santa’s list does not include your political affiliation, but he does have a lump of coal for those who would strip our public life of all sense of Wonder at the Love of God and thankfulness for all Miracles big and small. National Industries for the Blind, Alexandria, Virginia, was awarded a $13,673,411 firm-fixed-price contract to procure Army combat shirts. One bid was solicited with one bid received. Work will be performed in Richmond Hill, New York; Winston Salem, North Carolina; and San Antonio, Texas, with an estimated completion date of March 31, 2020. Fiscal 2018 operations and maintenance Army funds in the amount of $13,673,411 were obligated at the time of the award. U.S. Army Contracting Command, Aberdeen Proving Ground, Maryland, is the contracting activity (W911QY-19-C-0025). Mount Rogers Community Services Board, Atkins, Virginia, was awarded a $9,415,720 firm-fixed-price contract to procure Army combat shirts. One bid was solicited with one bid received. Work will be performed in Atkins, Virginia, with an estimated completion date of May 29, 2020. Fiscal 2019 operations and maintenance Army funds in the amount of $9,415,720 were obligated at the time of the award. U.S. Army Contracting Command, Aberdeen Proving Ground, Maryland, is the contracting activity (W911QY-19-C-0027). National Industries of the Blind, Alexandria, Virginia, has been awarded a maximum $24,662,000 firm-fixed-price, indefinite-delivery/indefinite-quantity contract for various types of coats. This is a one-year base contract with two one-year option periods. Maximum dollar amount is for the life of the contract. Locations of performance are Virginia and North Carolina, with a May 26, 2023, performance completion date. Using military services are Army and Navy. Type of appropriation is fiscal 2019 through 2023 defense working capital funds. The contracting activity is the Defense Logistics Agency Troop Support, Philadelphia, Pennsylvania (SPE1C1-19-D-B049). On December 20, 2018, the U.S. Department of Commerce published in the Federal Register (83 FR 65349) the 12-Month Cap on Duty-Free Benefits for the one-year period beginning on December 20, 2018, of 372,889,066 square meters equivalent. New Balance is looking to expand its manufacturing operations to Methuen., according to an article in the The Eagle-Tribune. Excel Manufacturing Ltd., El Paso, Texas, has been awarded a maximum $72,169,200 firm-fixed-price, indefinite-delivery/indefinite-quantity contract for Army Combat Uniform trousers. This was a competitive acquisition with 14 responses received. This is a one-year contract with four one-year option periods. The maximum dollar amount is for the life of the contract, including options. Locations of performance are Texas and Puerto Rico, with a June 18, 2024, performance completion date. Using military services are Army and Air Force. Type of appropriation is fiscal 2019 through 2023 defense working capital funds. The contracting activity is the Defense Logistics Agency Troop Support, Philadelphia, Pennsylvania (SPE1C1-19-D-1120). On December 18, 2018, President Trump signed an Executive Order on providing for the Closing of Executive Departments and Agencies of the Federal Government on Monday, December 24, 2018 as a federal holiday. Where there are multiple sales of goods prior to their importation into the United States, the First Sale rule allows importers, in certain circumstances, to use the price paid in the "first or earlier sale" as the basis for the customs value of the goods rather than the price the importer ultimately paid for the goods. Under U.S. law, the preferred method of valuing imported merchandise for customs purposes is transaction value of the goods sold. When such transaction value is required and the goods are sold more than once before they are actually imported (e.g., in sales involving middlemen), the First Sale rule allows an earlier sale to be used in declaring customs value as long as that sale can be documented as a sale for exportation to the United States and the importer meets all other Customs requirements. There is a presumption that transaction value is based on the price actually paid or payable by the importer for the imported merchandise under consideration. The burden is on an importer to rebut this presumption. Therefore, in situations where more than one sale has occurred involving the imported merchandise and the importer wants to base transaction value on the price actually paid or payable in a sale to which it is not the buyer (e.g., the price paid for the merchandise in a sale between the foreign manufacturer and a foreign middleman), the importer must be able to establish by documentary evidence that such a sale is a sale for exportation to the United States. 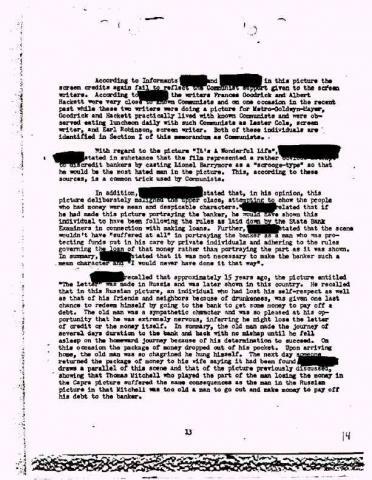 This documentary evidence must satisfy the requirements set forth in Nissho Iwai American Corporation v. United States, 16 CIT 86, 786 F. Supp. 1002 (1992) rev'd 982 F.2d 505 (Fed. Cir. 1992) and in General Notice (T.D. 96-87), Determining Transaction Value in Multi-Tiered Transactions, Vol. 30/31, Customs Bulletin No. 52/1 (January 2, 1997). (See copy below.) Without such evidence, the importer has not overcome its burden to rebut the presumption discussed above, and CBP will base the transaction value for the imported merchandise on the price actually paid or payable for the merchandise by the U.S. importer (rather than on the manufacturer's price to the middleman or the first-sale price). In Treasury Decision (T.D.) 96-87, dated January 2, 1997, the Customs Service (now Customs and Border Protection (CBP)) advised that the importer must provide a description of the roles of the parties involved and must supply relevant documentation addressing each transaction that was involved in the exportation of the merchandise to the United States. The documents may include, but are not limited to purchase orders, invoices, proof of payments, contracts, and any additional documents (e.g. correspon- dence) that establishes how the parties deal with one another. The objective is to provide CBP with “a complete paper trail of the imported merchandise showing the structure of the entire transaction.” T.D. 96-87 further provides that the importer must also inform CBP of any statutory additions and their amounts. If unable to do so, the sale between the middleman and the manufacturer cannot form the basis of transaction value. Sources: CBP (September 2008–August 2009 First Sale data) and U.S. Department of Commerce. \a\ For descriptive purposes only. Official tariff descriptions available at http://www.usitc.gov/tata/hts/bychapter/index.htm. \b\ C.V. refers to customs value of general imports. Agathon Associates can assist importers interested in potential savings using "First Sale." This recall involves girls’ infant snowsuits sold in infant sizes 0 to 18 months. The recalled snowsuits were sold in two styles and three colors/patterns. The style number is printed on a label sewn in to the side seam. The snowsuits are 100% polyester and the trim is 95% polyester and 5% spandex. They have matching print hoods with small ears, detachable mittens and a zipper down the front of the suit covered with a fabric snap flap at the chest. Consumers should immediately take the recalled snowsuits away from children, stop using them and return them to any The Children’s Place store for a full refund. Online customers will receive return instructions by email from The Children’s Place on obtaining a full refund. The firm has received one report of a metal snap detaching from a snowsuit. No injuries have been reported. The Children’s Place stores nationwide and online at www.childrensplace.com from August 2018 through November 2018 for about $50. The Children’s Place Services Company LLC, of Secaucus, N.J.
Harmonized System Update (HSU) 1820 was created on December 18, 2018 and contains 19,061 ABI records and 3,393 harmonized tariff records. Changes include the annual special program staged rate reductions mandated by the individual Free Trade Agreements. This update also contains modifications mandated by the 484 F Committee, the Committee for Statistical Annotation of Tariff Schedules. These adjustments are effective on January 1, 2019 and will be published within the change record, and chapters, of the 2019 USHTS. However, until they are available, please contact your assigned client representative for assistance with discontinued records. In addition, adjustments include those made as a result of the USTR's Notice of Modification to Section 301 Action: China's Acts Policies, and Practices Related to Technology Transfer, Intellectual Property, and Innovation. The Notice can be found in the Federal Register dated December 19, 2018, Vol. 83 No. 243, page 61598. It can be retrieved using the following the link https://www.govinfo.gov/content/pkg/FR-2018-12-19/pdf/2018-27458.pdf. Tennier Industries Inc., Delray Beach, Florida, has been awarded a $9,309,281 modification (P00007) to a one-year contract (SPE1C1-17-D-1090) with two one-year option periods for various parkas. This is a fixed-price contract. Locations of performance are Florida and Tennessee, with a Dec. 19, 2019, performance completion date. Using military services are Marine Corps and Air Force. Type of appropriation is fiscal 2019 through 2020 defense working capital funds. The contracting activity is the Defense Logistics Agency Troop Support, Philadelphia, Pennsylvania. The law requires federal agencies to buy domestic products. But federal agencies can buy foreign products sometimes, e.g., when domestic items are not available at a reasonable cost or when international trade agreements waive the Buy American Act restrictions. According to the federal procurement database, foreign products comprised less than 5% of what the government bought in fiscal year 2017. The real amount could be higher than that, in part, because of data errors. For example, some agencies had inaccurately recorded waiver information. On December 18, 2018, The Government Accountability Office released recommendations of Actions Needed to Improve Exception and Waiver Reporting and Selected Agency relating to the Buy American Act. SUMMARY: This document proposes to amend U.S. Customs and Border Protection (CBP) regulations to implement changes to the drawback regulations as directed by the Trade Facilitation and Trade Enforcement Act of 2015 (TFTEA). These proposed regulations establish a new process for drawback pursuant to TFTEA which liberalizes the merchandise substitution standard, simplifies recordkeeping requirements, extends and standardizes timelines for filing drawback claims, and requires the electronic filing of drawback claims. TFTEA allows a transition period wherein drawback claimants will have the choice between filing claims under the existing process detailed in the current regulations or filing claims under the proposed new process. This document explains how filings during the transition period will work, discusses the interim policy guidance procedures for filing claims prior to these regulations becoming final, and proposes to make TFTEA-related changes, dealing with bonds, regarding joint and several liability for the importer of the goods and the drawback claimant, and technical corrections and conforming changes to CBP regulations. This document also proposes to clarify the prohibition on the filing of a substitution drawback claim for internal revenue excise tax paid on imported merchandise in situations where no excise tax was paid upon the substituted merchandise; or the substituted merchandise is the subject of a different claim for refund or drawback of tax under any provision of the Internal Revenue Code. CBP is proposing these amendments regarding excise taxes to protect the revenue by clarifying the relationship between drawback claims and Federal excise tax liability. Further, CBP proposes to add a basic importation and entry bond condition to foster compliance. For your information, below is a listing of Federal Holidays for Calendar Year 2019. Description: This recall involves 100% silk Raj Imports scarves. The scarves are purple with an allover butterfly and bow pattern. 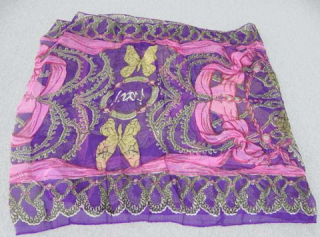 The scarves measure about 71 inches long by 20 inches wide. 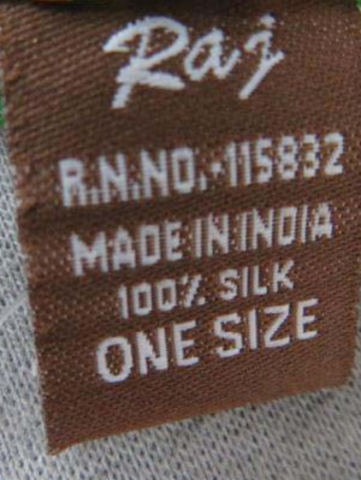 “Raj RN NO 115832 Made in India 100% Silk ONE SIZE” is printed on a brown side seam label. Remedy: Consumers should immediately stop using the recalled scarves and contact Raj Trading and Imports for a full refund. Sold At: Online at www.rajimports.net and www.zulily.com from February 2008 through August 2018 for about $15. Importer(s): Raj Trading & Imports (USA), Inc., dba as Raj Imports, of Calif. The U.S. Commercial Service is offering a unique opportunity for U.S. companies in the Textiles, Apparel, and Sporting goods Industry to promote their products and services to potential buyers and business partners overseas via online promotion on their website. The Protective Group, A Point Blank Co., Miami Lakes, Florida, was awarded an $11,924,240 firm-fixed-price contract for the procurement of enhanced ballistic armor protection system kits. One bid was solicited with one bid received. Work locations and funding will be determined with each order, with an estimated completion date of Dec. 10, 2022. U.S. Army Contracting Command, Redstone Arsenal, Alabama, is the contracting activity (W58RGZ-19-D-0013). Aurora Industries LLC, Camuy, Puerto Rico, has been awarded a maximum $36,835,535 indefinite-delivery/indefinite-quantity contract for duffle bags. This is a two-year contract with no option periods. This was a competitive 8(A) set-aside acquisition with three responses received. Location of performance is Puerto Rico, with a Dec. 6, 2020, performance completion date. Using military services are Army, Navy, Air Force, Marine Corps and Coast Guard. Type of appropriation is fiscal 2019 through 2021 defense working capital funds. The contracting activity is the Defense Logistics Agency Troop Support, Philadelphia, Pennsylvania (SPE1C1-19-D-1117). The Dominican Republic Earned Import Allowance Program (DR 2-for-1) was established as an amendment to the CAFTA-DR, under the Andean Trade Preference Extension Act of 2008 and became effective on December 1, 2008, for a 10-year period. The 10-year period expired on December 1, 2018. Entries of qualifying apparel under the DR 2-for-1 program may only qualify for duty-free treatment under the CAFTA-DR prior to the date of expiration. Entries on or after December 1, 2018, may no longer use allowances to qualify for duty free treatment under the DR 2-for-1 program. Heart and Core LLC, Minnetonka, Minnesota, has been awarded a maximum $7,920,000 modification (P00011) exercising the second one-year option period of a one-year base contract (SPE1C1-17-D-1018) with four one-year option periods for moisture wicking T-shirts. This is an indefinite-delivery contract. Locations of performance are California and Minnesota, with a Dec. 15, 2019, performance completion date. Using military service is Army. Type of appropriation is fiscal 2019 through 2020 defense working capital funds. The contracting activity is the Defense Logistics Agency Troop Support, Philadelphia, Pennsylvania. The National Council of Textile Organizations (NCTO) board of directors has voted to endorse the U.S.-Mexico-Canada Agreement (USMCA). The United States, Canada and Mexico signed the USMCA on November 30. "On behalf of the U.S. textile industry, thank you to President Trump, Ambassador Lighthizer and the entire U.S. negotiating team for your hard work in getting USMCA done," said NCTO Chairman Marty Moran, CEO of Jefferson, GA-based Buhler Quality Yarns Corp.
"The new deal is better than NAFTA for the U.S. textile industry in many aspects and NCTO is pleased to endorse it," Moran added. "NCTO was in continuous communication with U.S. negotiators during USMCA talks, urging them to preserve and enhance the North American textile supply chain, and the deal reflects many of NCTO's priorities," Moran finished as he noted U.S. textile-related exports to Canada and Mexico totaled a combined $11.8 billion in 2017. This recall involves Falls Creek Kids branded children’s zip up hoodies sold in five color styles in sizes 12M,18M, 24M, 2T,3T 4T and 5T. “Falls Creek Kids” and “Made in China” are printed on the inner collar. The tracking number is printed on a sewn-in label on the inner side seam. Remedy: Consumers should immediately take the recalled hoodies away from children, stop using them and return them to any Meijer store for a full refund. Incidents/Injuries: Meijer has received one report of the zipper slider body and pull detaching from a hoodie. No injuries have been reported. Sold Exclusively At: Meijer stores nationwide from June 2018 through October 2018 for about $14. Importer(s): Meijer Distribution Inc., of Grand Rapids, Mich. Manufactured In: China. Recall number: 19-044. 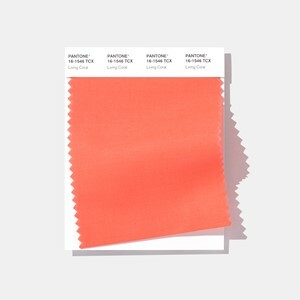 An animating and life-affirming coral hue with a golden undertone that energizes and enlivens with a softer edge. They're known as sneakers, but 9,024 pairs of counterfeit Nike sneakers could not sneak past alert U.S. Customs and Border Protection (CBP) officers at the Port of New York/Newark recently. If authentic, the sneakers would have a manufacturer's suggested retail price (MSRP) of $1,695,600. CBP officers inspected the shipment in late September after it arrived from Dongguan City, China. Officers then submitted digital images of the sneakers to CBP's Apparel Footwear and Textiles Center for Excellence and Expertise, the agency's trade experts. CBP's CEE specialists worked with the trademark holders and determined the sneakers to be counterfeit. CBP completed the seizure Thursday. The sneakers were destined to an address in Chino, California. Immigration and Customs Enforcement's (ICE) Homeland Security Investigations agents in Newark, N.J. continue to investigate. The manufacture of counterfeit goods robs legitimate businesses of revenue, robs American workers of jobs, and poses health and safety threats to U.S. consumers. Oftentimes, the proceeds from counterfeit merchandise sales supports other nefarious and illicit businesses. On a typical day in 2017, CBP officers seized $3.3 million worth of products with IPR violations. In Fiscal Year (FY) 2017, the number of IPR seizures increased 8 percent to 34,143 from 31,560 in FY 2016. The total estimated MSRP of the seized goods, had they been genuine, decreased to $1.2 billion from $1.38 billion in FY 2016. Read more 2017 IPR Enforcement Statistics. As a result of CBP enforcement efforts, ICE Homeland Security Investigations agents arrested 457 individuals, obtained 288 indictments, and received 242 convictions related to intellectual property crimes in 2017. The United States International Trade Commission (USITC) today determined that there is a reasonable indication that a U.S. industry is materially injured by reason of imports of polyester textured yarn from China and India that are allegedly subsidized and sold in the United States at less than fair value. Chairman David S. Johanson and Commissioners Irving A. Williamson, Meredith M. Broadbent, Rhonda K. Schmidtlein, and Jason E. Kearns voted in the affirmative. As a result of the Commission’s affirmative determinations, the U.S. Department of Commerce will continue with its antidumping and countervailing duty investigations concerning imports of this product from China and India, with its preliminary countervailing duty determinations due on or about January 11, 2019, and its preliminary antidumping duty determinations due on or about March 27, 2019. The Commission’s public report Polyester Textured Yarn from China and India (Inv. Nos. 701-TA-612-613 and 731-TA-1429-1430 (Preliminary), USITC Publication 4858, December 2018) will contain the views of the Commission and information developed during the investigations. The report will be available after December 31, 2018; when available, it may be accessed on the USITC website at: http://pubapps.usitc.gov/applications/publogs/qry_publication_loglist.asp. Product Description: Polyester textured yarn is synthetic multifilament yarn that is manufactured from polyester (polyethylene terephthalate). It is produced through a texturing process, which imparts special properties to the filaments of the yarn, including stretch, bulk, strength, moisture absorption, insulation, and the appearance of a natural fiber. 1. Type of investigation: Preliminary phase antidumping duty and countervailing duty investigations. 2. Petitioners: Unifi Manufacturing, Inc., Greensboro, North Carolina; Nan Ya Plastics Corp. America, Lake City, South Carolina. 3. USITC Institution Date: Friday, October 18, 2018. 4. USITC Conference Date: Friday, November 8, 2018. 5. USITC Vote Date: Friday, November 30, 2018. 6. USITC Notification to Commerce Date: Monday, December 3, 2018. 1. Number of U.S. producers: 9. 2. Location of producers’ plants: North Carolina and South Carolina. 3. Production and related workers: 1,043. 4. U.S. producers’ U.S. shipments: $271.5 million. 5. Apparent U.S. consumption: $404.0 million. 6. Ratio of subject imports to apparent U.S. consumption: 15.5 percent. 1. Subject imports: $62.7 million. 2. Nonsubject imports: $69.8 million. 3. Leading import sources: China, Mexico, India, Indonesia, Taiwan, Malaysia. AATCC Foundation Scholarship and Fellowship Available! AATCC Foundation, Inc. announces scholarships and fellowships available for the 2019-2020 academic year. Currently, 15 undergraduate scholarships and 3 graduate fellowships are available. Applications for the Charles E. Gavin III Family Scholarship at Auburn University are due FEBRUARY 1. All other scholarships are due by MARCH 31, 2019. Guidelines and an application form are available on the Foundation Grants and Scholarship webpage. The AATCC Foundation’s Varley Family Textile Technology Scholarship is a $7,500 per year scholarship that supports students pursuing a career or performing coursework in textile engineering, textile chemistry, textile science or a related discipline. Recipients are eligible to receive one half of the award for the fall semester, and one half for the spring semester. An undergraduate college student enrolled (with intended career goals) in the field(s) of textile engineering, textile chemistry, textile science, or a related discipline, at either the Fashion Institute of Technology (FIT) or Cornell University College of Human Ecology is eligible for this scholarship. Applications are due to AATCC by FEBRUARY 15. Applicants will be notified of the Selection Committee’s decision by May 30. The President of the United States, Donald J. Trump, and President Xi Jinping of China, have just concluded what both have said was a “highly successful meeting” between themselves and their most senior representatives in Buenos Aires, Argentina. Very importantly, President Xi, in a wonderful humanitarian gesture, has agreed to designate Fentanyl as a Controlled Substance, meaning that people selling Fentanyl to the United States will be subject to China’s maximum penalty under the law. On Trade, President Trump has agreed that on January 1, 2019, he will leave the tariffs on $200 billion worth of product at the 10% rate, and not raise it to 25% at this time. China will agree to purchase a not yet agreed upon, but very substantial, amount of agricultural, energy, industrial, and other product from the United States to reduce the trade imbalance between our two countries. China has agreed to start purchasing agricultural product from our farmers immediately. President Trump and President Xi have agreed to immediately begin negotiations on structural changes with respect to forced technology transfer, intellectual property protection, non-tariff barriers, cyber intrusions and cyber theft, services and agriculture. Both parties agree that they will endeavor to have this transaction completed within the next 90 days. If at the end of this period of time, the parties are unable to reach an agreement, the 10% tariffs will be raised to 25%. It was also agreed that great progress has been made with respect to North Korea and that President Trump, together with President Xi, will strive, along with Chairman Kim Jong Un, to see a nuclear free Korean Peninsula. President Trump expressed his friendship and respect for Chairman Kim. President Xi also stated that he is open to approving the previously unapproved Qualcomm-NXP deal should it again be presented to him. The Original Footwear Co., Arecibo, Puerto Rico, has been awarded a maximum $9,186,840 modification (P00014), exercising the third one-year option period of a four-year base contract (SPE1C1-16-D-1026), with three one-year option periods for men’s poromeric shoes. This is firm-fixed-price, indefinite-delivery/definite-quantity contract. Locations of performance are Puerto Rico and Michigan, with a Nov. 30, 2019, performance completion date. Using customers are Army, Air Force, Marine Corps and Coast Guard. Type of appropriation fiscal 2019 defense working capital funds. The contracting activity is the Defense Logistics Agency Troop Support, Philadelphia, Pennsylvania.